EDMONTON - Union leaders say Superstore outlets in Alberta will face a consumer boycott if its workers end up going on strike Sunday over a contract dispute. Public and private sector unions representing about 250,000 Alberta workers say they have sent a letter to Loblaw Companies Ltd. CEO Galen Weston Jr. The letter calls on the company to present a reasonable offer to its 8,500 Alberta employees represented by the United Food and Commercial Workers union. Union members can legally walk off the job early Sunday morning to press contract demands. 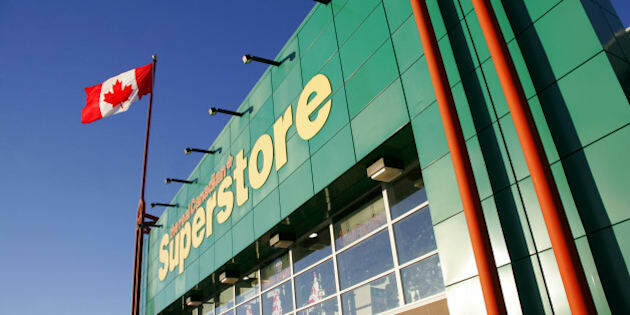 The Alberta Federal of Labour and the other labour groups say they will actively encourage their members not to shop at Superstore if a deal isn't reached. Others involved in the boycott threat include the Alberta Union of Provincial Employees, United Nurses of Alberta, Health Sciences Association of Alberta, Unifor and the Canadian Union of Public Employees. "In the event of a strike, we will communicate our concerns about your company's labour relations practices to our members and actively encourage them to not shop at Superstore until a fair agreement has been reached," AFL president Gil McGowan said in a release Friday. "In an economy as vibrant as Alberta's, there is simply no excuse to shortchange the employees whose efforts make your business thrive." The main issues in the dispute include wages and reduced hours for Superstore's mostly part-time workforce. Superstore workers in Saskatchewan and Manitoba reached tentative agreements with Loblaw in recent weeks after voting in favour of going on strike.